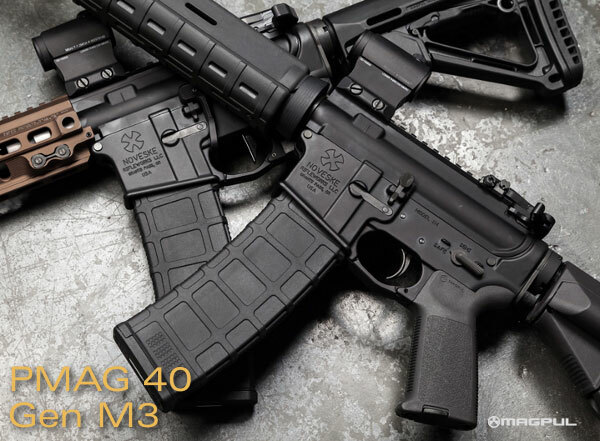 Share the post "Magpul Introduces New 40-Round Magazine for AR Platform"
Writer David Fortier recently conducted an extensive torture test of AR15 magazines — both polymer and metal-bodied. Fortier’s test results, some of which may surprise you, are found in David’s article “Feeding Your AR”, published in the latest (November 20, 2009) edition of Shotgun News. Fortier tested a variety of popular AR mags including PMAG, Tango Down, CProducts SS, Brownells, Bravo Company, Lancer, MSAR, and Tapco. 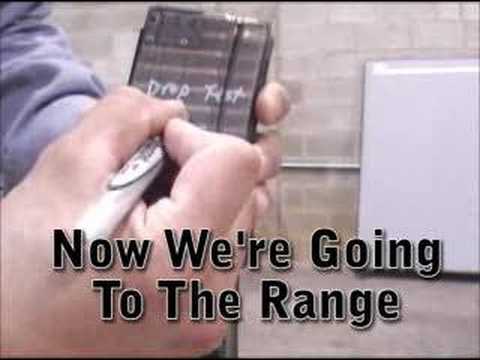 The “torture tests” included dropping the mags on their feedlips from 8.5 feet, driving a full-size army truck over the mags, jumping on the mags, and deliberately tilting the followers. The mags were also tested for fit and function with live-fire shooting. Results were a little surprising. When dropped from 8.5 feet on their feedlipgs, the Tango Down, PMAG and TAPCO all split down the spine. CLICK HERE for Test Photos. The Lancer L5 model seemed to be the toughest magazine tested, and Fortier noted how the “old-fashioned” aluminum mags did surprisingly well. 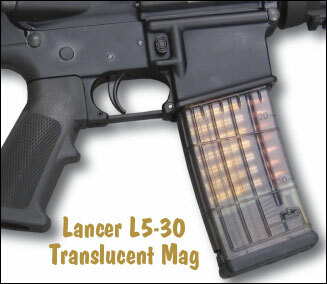 Lancer L5 magazines have “see-through” translucent polymer bodies (similar to Sig 55X series magazines). In addition, the Lancers feature teflon-coated, hardened steel feed lips, and a rubber-coated “bumper bottom”. Lancer L5s are offered in 20-round, 30-round, and 48-round capacities. The 48-rounder employs a special coupler to provide super-high capacity for 3-gun comps. Below is a Lancer-produced video showing the L5s being dropped from 5 feet (on both base and feed lips) without injury. Old Metal 20s — Still Best Match Mag? 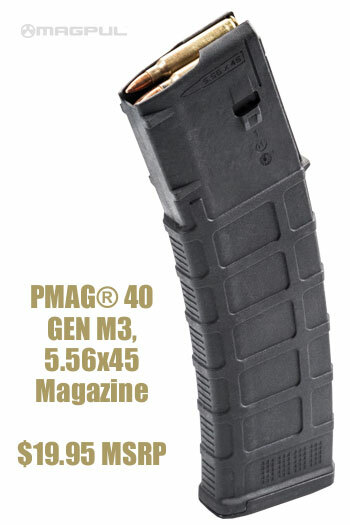 Editor’s NOTE: I won’t speculate as to the best 30-round magazine for field and military use. But in all the ARs I’ve owned, and most of the AR target rifles I’ve shot, the best magazine for Bench use and High Power Match use was the old 20-round straight aluminum mag with silver-colored metal follower. These 45-year-old mags seem to work perfectly, even when the gray powder-coat has worn off in spots revealing a dull brass color underneath. The silver metal follower still works better than most of the new “no-tip” polymer followers. There may be better 20-round polymer mags today, but match shooters won’t go wrong with the original metal-bodied straight 20s with metal followers. 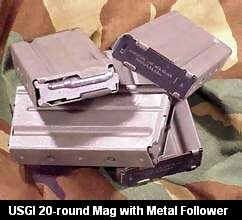 I’ve bought, sold, and traded many AR mags over the years — and my old GI metal 20s are the only ones I’ll never sell. Share the post "AR15 Magazine Torture Test in Shotgun News"